You can have students or parents upload to share homework documents, images, or provide links. Just edit the names on the Weebly template to suit your needs. Remember, if the is a * beside it, you have made it mandatory to be filled in! Beginner's Guide. 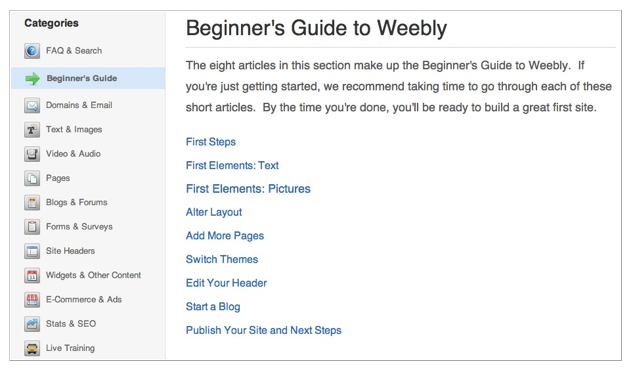 The eight articles in this section make up the Beginner's Guide to Weebly. If you're just getting started, we recommend taking time to go through each of these short articles. By the time you're done, you'll be ready to build a great first site. Technology tools can have an incredible impact on communication and building a sense of community.